The online gambling marketplace has been rapidly growing over the last decade. This red-hot sector is predicted to be worth nearly $100 billion worldwide by the end of 2024 according to a report by Transparency Marketing Research. Gambling aficionados can enjoy live casino online betting websites from the comfort of their homes or even on the go with smartphones. If you're looking for an industry to invest in, online gambling is almost a strong bet! Ten years ago online gambling certainly wasn't the booming industry that it is today. Most people still had flip phones, Blackberries, and early generation Android smartphones or iPhones that didn't have nearly the computing power they do today. The iPad and powerful tablets also weren't around or affordable like they are today. With supercomputers in the pockets of billions and fast WiFi in many places, online gambling is more accessible to the masses than ever before. In addition to smartphones being more powerful than ever before and most websites now being mobile-friendly, there are countless gambling and betting apps out there that are made specifically for an exceptional mobile or tablet user experience. That means that there is no friction for the end user when they are looking to enjoy their favorite online gambling or sports betting platform. And most mobile apps store your payment information so having to enter it again and again will not be a potential deterrent for users. The rise of social media has definitely contributed to a generation of consumers addicted to online excitement and the thrill of checking their social media notifications, likes, comments and friend requests. The same goes for online video games, or anything that can be gamified. This provides users with a rush of dopamine causing a pleasure sensation that they want to experience again and again. The behavior of social media and online gaming users parallels online betting, gambling, and fantasy sports where real money is on the line. The behavioral patterns developed from social media and video games mean that online gambling is a very appealing option for many consumers. A large and growing component of the online gambling and betting market has always been fantasy sports (around a $10 billion industry), especially fantasy football in the United States. Sports of all types are fun, exciting, and addicting but they become even more interesting when you throw in a monetary incentive. Fantasy sports across the world including football, soccer, baseball, hockey, and basketball will continue to thrive and become more accepted. Improved Virtual Reality (VR) and Augmented reality (AR) technology are on the horizon and that impacts countless industries including the online gambling sector. With AR and VR programs you will be able to feel like you're at a live casino online, feeling the cards and chips in your hand, without the expensive trip to Vegas! Online gambling is most prominent in Europe where there is much less regulation and oversight. The United States has restricted a lot of online gambling and betting options, but regulations are starting to get more lax. Online gambling, especially sports betting and fantasy sports, are becoming much more commonplace and accepted. The government is starting to realize the incredible tax revenue potential that legalizing or deregulating sports betting and online gambling can present. New Jersey just legalized sports betting before this year's World Cup and states like Massachusetts may soon follow. For the Middle East and Asia the potential is growing as traditional conservative values start adapting to the modern world. It's just a matter of time before the Asia and the Middle East will start contributing at least a little bit to the growth of online gambling. When you are deciding on what industry to work in or invest in, remember that the sports betting and online gambling market is thriving. 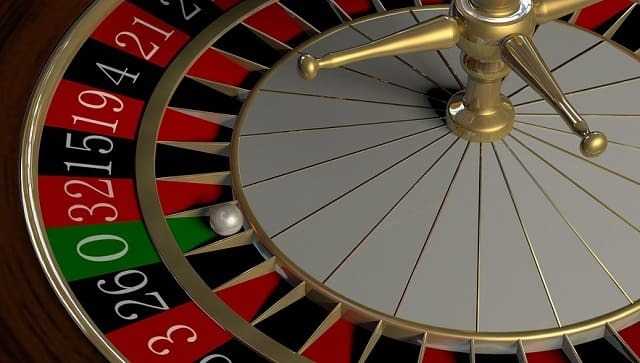 Roll the dice and bet big on online gambling and betting! We'd wager that the payoff will be big. I hope you enjoyed this article about why you should be betting big on the online gambling and betting markets worldwide. Interested in more articles about booming business trends?